AGV has been building quality motorcycle helmets since the 1940s. Today, Dainese owns it. Any time the company comes out with something new, you’d better take note. On December 12, AGV announced the North American launch of its new AX9 helmet. 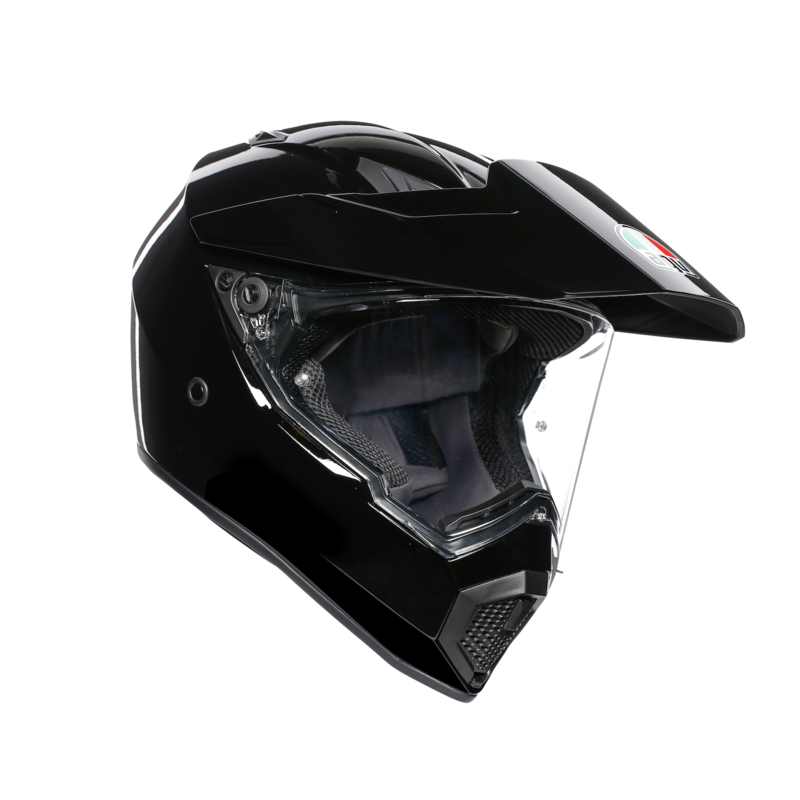 The AX9 follows in the footsteps of the AX8 helmet that came before it but offers some new design features and updates. It’s sleeker overall and more of an on-road lid than the AX8 ever was. The AX9 is special because it can be used in four different configurations. It all depends on what you need. The adventure touring rider who needs a helmet for off-road duty but likes to spend most of his or her time on pavement should be quite happy with the AX9. The AX9 comes with a bevy of favorable traits including an advanced and adjustable five-vent system for airflow, top-of-the-line comfort with an interior that features antibacterial and moisture wicking materials, a fog and scratch resistant visor that provides 190-degree horizontal vision and 110-degree vertical vision, and a shell made of a carbon, aramid, and and fiberglass composite. The technical features don’t stop there. It also gets a Shalimar and Nubuck fabric neckroll, an adjustable peak that’s more aerodynamic, a removable and washable interior, a visor micro opening for enhanced airflow, and the visor comes off the helmet so you can wear goggles if you wish. Additionally, the AX9 comes ready to take generic communication systems. Overall, the AX9 does a good job of taking what the AX8 was good at and improving upon it. With a price tag starting at $499 and seven different graphic designs, the AX9 looks like it could be a winner for AGV.